Product information "interior decorator beer stein 0,5 liter"
Get any of the Occupation steins engraved on the top flat pewter lid. And make it an outstanding personalized gift for everyone. "Raumausstatter" is the German word for Interior decorator. 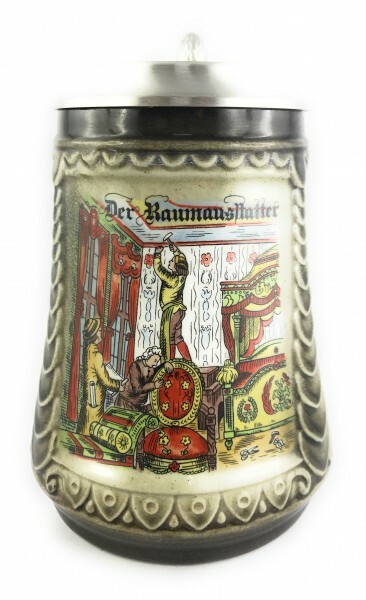 Very nice designed authentic German beer stein. Related links to "interior decorator beer stein 0,5 liter"
Customer evaluation for "interior decorator beer stein 0,5 liter"